Suzy Belizario finds joy in recruiting the best talents, connecting them to jobs they are passionate about, and ultimately making a difference in their lives. She’s been with Ubisoft since 2016, enabling Philippines studio’s rapid growth in just one year. She has staffed the team for Assassin's Creed Origins, Skull and Bones, For Honor, The Crew II, Assassin's Creed Odyssey and other projects. As of 2019, she is beginning a new adventure in Ubisoft Singapore! Her goal is to find highly motivated individuals who are passionate about making great AAA games to join Ubisoft Singapore’s dynamic and ever-growing team. In her free time, Suzy loves to indulge in music, Ultimate Frisbee and running. She dreams of finishing the 6 largest marathons in the world! Ubisoft Singapore’s recruitment team is looking for a range of profiles (of all levels of seniority) in many different fields to join our voyage. If you think you may be the perfect fit, don’t hesitate to reach out to Suzy for a chat. Arthur has a rich 10-year experience in talent acquisition and recruitment, performing a variety of individual contributor and managerial roles in both agency and in-house corporate settings. He is also an avid gamer who’s been playing many genres of games for 25 years – RPGs, adventures, platformers, stealth, survival horror and MMORPGs – you name it! 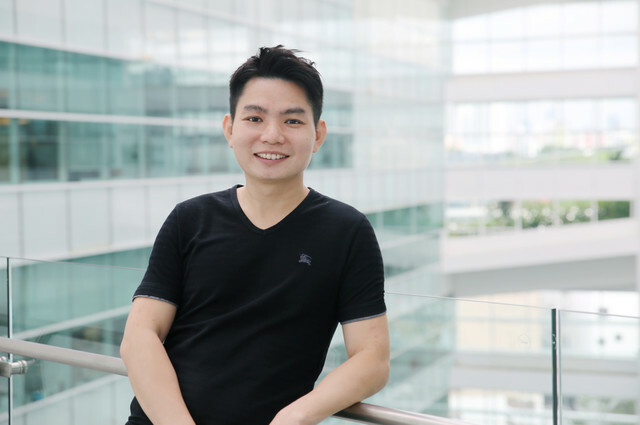 In 2019, he followed his heart and decided to join the video game industry with a mission to recruit like-minded people – people who are passionate about creating immersive worlds and building AAA quality experiences. If you are enthusiastic about being part of our talented team and can’t wait make games that will impact millions of players, feel free to contact Arthur to discuss your next big career move! Jullia has a degree in psychology and joined Ubisoft’s talent acquisition team in 2018. She has experience working in recruitment firms and supporting fast-paced multinational tech companies. She is also experienced in hiring in universities and for niche functions across various business units like finance and accounting, product marketing, operations, engineering, IT, investment banking and executive roles. She is looking for talented and inspired game developers in all fields to join Ubisoft Singapore’s vibrant team in creating memorable blockbuster AAA titles. In her free time, Jullia enjoys traveling and reading & watching psychological thrillers. If you have a profound passion for making great games and would like to understand more about life at Ubisoft Singapore, feel free to reach out to Jullia!